Food labels can be a tricky business. I have been frustrated in the past about companies hiding ugly ingredients under other names (read my post about what to avoid on ingredients lists). 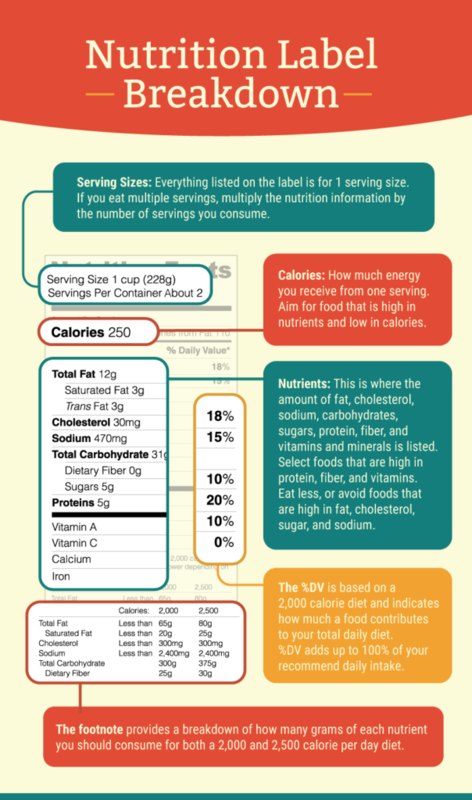 This infographic from Fix.com is a great resource for how to decode nutrition labels. Years ago, I bought into the idea that all fat is bad and therefore opted for low-fat, or fat-free options wherever possible. Now I know better. We all need healthy fats, or “heart-healthy fats”, which are labelled as unsaturated fat (found in foods like avocados, nuts, eggs, fish, and vegetable oils). Read more about different fats and avoiding trans fats in the Fix.com article. As a little exercise, let’s compare the nutrition facts and ingredients lists between 2 chocolate sandwich cookies: Oreos vs Country Choice. 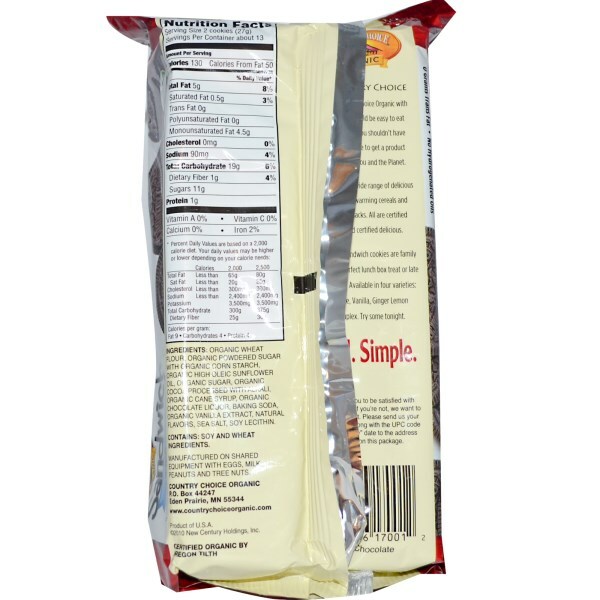 Because the serving sizes are different on the packages, I calculated the nutrition facts per cookie below. What do you notice? The Country Choice cookies have more fat, but are mostly monounsaturated fat (i.e. unsaturated fat). They also have less sodium and a bit more protein. The biggest differences between the 2 types are in the ingredients lists. 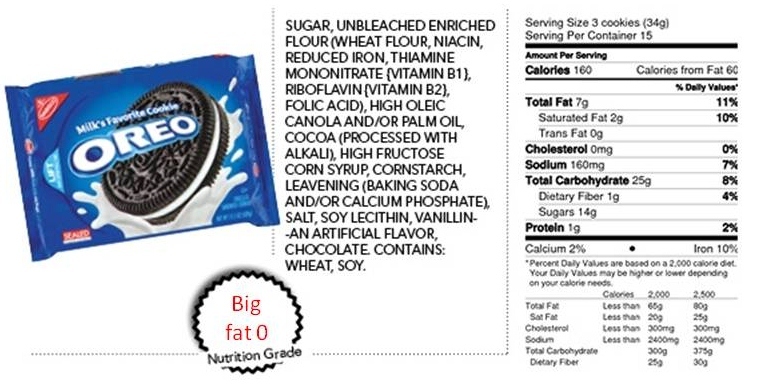 Oreos contain sugar as the 1st ingredient, and also contain canola/palm oil (not the kind of vegetable oils you want to eat – read here about palm oil). And then there’s the really nasty high fructose corn syrup. So although the Country Choice cookies are definitely a treat – I feel way better about giving them to my child than Oreos. What did you learn about how to decode food labels from this infographic?